Sponsors are critical to the many VFW campaigns that aid, entertain and inspire our veterans and active-duty troops. The growing needs of our military and their families mean we are always in need of assistance to fill the financial gaps that governmental programs do not cover. Given today’s economic climate, we understand it’s important that you’re able to justify charitable giving. That’s why the VFW provides tangible assets and marketing opportunities to support corporate contributions. Each of us here at the VFW recognize and appreciate that our corporate sponsors bring more to the table than simply funding. They provide marketing muscle, brand power, membership enthusiasm, business networks and other advantages that are invaluable to us. What’s in it for your organization? Find out exactly how your business can benefit from a partnership with the VFW . Together, we can touch the lives of our active-duty military and often-forgotten veterans. 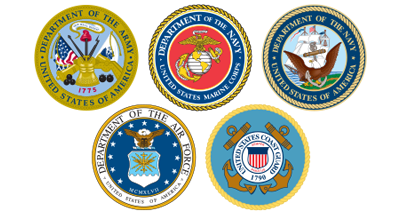 Your business name or name, link and description will be added to the official VFW Post 10406 website. Your business name or name, link and description will be added to the Event Ticker located on the Home Page. Your business name or name will be recognized in Twitter Posts throughout the year. Your business name or name advertised in the the official VFW Post 10406 Quarterly Newsletter. Your business name or name will be added and displayed on a 72" flat screen during VFW meeting and events. Please contact us for all the other benefits on becoming a VFW Post 10406 sponsor.